An application to LMF requires sponsorship from a suitable state agency. An application must include full knowledge and agreement from the landowner that their project is up for consideration for LMF funding. Funds often assist land trusts, municipal conservation commissions, local governments, private nonprofit charitable organizations, state agencies, and private foundations. 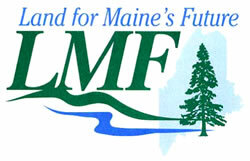 After funds are approved by voters, the Land for Maine's Future Board issues a call for proposals. Proposals are reviewed for completeness by staff and scored and nominated by working committees of the board. After public notice, the LMFB votes on finalists for funding. Application for water access projects may submitted at any time so long as funding is available. The Public Access to Maine Waters Fund is designed to 'get people to the water.' The board will accomplish this by acquiring fee simple of public access rights on small parcels of land to create or enhance access points to lakes, ponds, rivers, and coastal waters. Land for access could support a facility for trailered boats, or small, hand-launched craft (canoes, kayaks) and provide bank fishing, swimming, clamming, worming, or other water contact opportunities. Access is primarily intended for general public use. Through a competitive application process matching funds are available to assist commercial fisheries businesses, co-ops, municipalities and other interested parties in securing strategically-significant working waterfront properties to protect vital resources that support commercial fisheries. Funds can be used to purchase property, or for the purchase of access easements, rights of way, or development rights to preserve walk-in or small boat access, properties entirely dedicated to commercial fisheries uses, or mixed use properties.